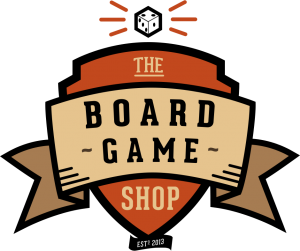 “We”, “Us”, “The Board Game Shop”- Thats us, this site. We are a new concept board game online retailer. Service and community focused we aim to offer a wide range of products at excellent prices while offering community services such as our forum (click here to go check it out, it’s awesome). This site is built by people passionate about tabletop gaming for other like minded gamers. We would love to hear what you think, no really, and if you have any comments or suggestions you can reach us at contact@theboardgameshop.co.uk. We’re sure you’ve done it all before and our site is pretty straight forward but just add your choices to your basket, hit checkout and follow the instructions after that. If you have any questions about using the site you can get us at contact@theboardgameshop.co.uk. The Board Game Shop accepts credit/debit cards as well Paypal. Payment is taken when order process is completed. We’ll send you an email when we’ve completed the transaction and another when we ship your purchase…. its just polite after all. All purchases are shipped next working day through Royal Mail when items are in stock. It may take up to 14 days where items are not in stock, we’ll try to go quicker and we’ll be sure to keep you posted along the way. If you don’t want to wait you can cancel order up until the date we ship it and we’ll try not to be TOO upset. Shipping costs are calculated based on size and weight, you can find our pricing guide here. Within 14 days of receipt of you can return goods purchased provided they are returned sealed and in their original saleable condition. In the instance of faulty goods we will cover applicable shipping costs. Where you have changed your mind on a purchase and returning the goods (remember… sealed and saleable!) the buyer is responsible for all shipping costs. To return items please email us at contact@theboardgameshop.co.uk and state your order number and which items you would like to return. We will get back to you with information on processing your refund. As stated above you can cancel any order up to the point we ship it. Thereafter our returns policy applies. This does not affect your statutory rights. If for any reason you are not happy with our services or the products you purchased we really really want to know. We want The Board Game Shop to be something different and something special and when we get it wrong we want to make it right. If you don’t tell us we cant do anything about it. Any issues should be brought to our attention using the following email address contact@theboardgameshop.co.uk. Please be sure to include a name and convenient contact telephone number and we will get back to you as soon as we can. Once you have received your purchase we cannot be held responsible for and health and saftey concerns regarding your new product.